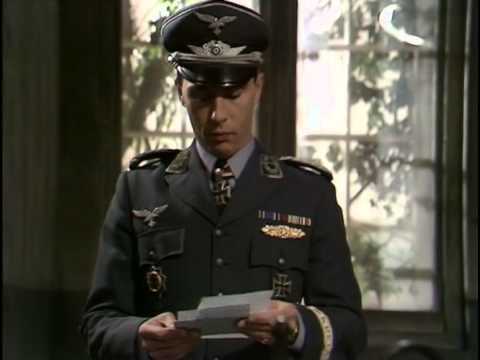 The Angriest: Colditz: "Arrival of a Hero"
Colditz: "Arrival of a Hero"
It is 7 January 1974, and time for the Season 2 premiere of Colditz. With Carrington and Grant safely escaped, it is up to the remaining British prisoners to suffer the wrath of the German authorities. While Lieutenant Carter (David McCallum) recovers from a broken ankle sustained in the escape attempt, he becomes the target for the camp's new second-in-command, Major Horst Mohn (Anthony Valentine). "Arrival of a Hero" opens the second and final year for Colditz, and immediately goes about reframing the series in the absence of Carrington and Grant. While Grant in particular played a leading role in much of the first season, it seems the focus this time around will be more closely on Carter. It also introduces a sinister new antagonist in the shape of Major Mohn. The episode does an excellent job of presenting the complicated state of the German military. The Colditz prisoner-of-war camp is operated and defended by the German Wehrmacht: the united armed forces of the country that pre-existed the Nazi government. The Kommandant (Bernard Hepton) and his security chief Hauptmann Ulmann (Hans Meyer) may fight on the opposing side to the Allied officers, but they strictly abide by the Geneva Convention and do their best to offer fair and ethical treatment. Following the escape of two prisoners, however, the camp now also gets a new second-in-command. Mohn is a Nazi zealot: a hero of the Battle of Stalingrad who subsequently served on Hitler's private staff. He is respected, politically connected and powerful. He is also, unlike the Kommandant and Ulmann, cruel and manipulative. He is quick to point out that Germany never signed the Geneva Convention, and does not feel there is a need to abide by it. Anthony Valentine plays the character with the perfect balance of emotions. Too much cruelty and he'd be unwatchable. Too little and he would not present a challenge for the other characters. Situated as he is in a well-placed middle, he becomes a dangerous and immensely watchable villain. Mohn's presence sends ripples through the whole series. Escape attempts have just become significantly more dangerous for the prisoners. For the Kommandant, displeaning Mohn could result in the SS taking over the entire facility and killing all of the enemy combatants. It really does feel as if the series has become a lot darker in its second year, as the genuine horrors of Nazi Germany begins to move much closer to the characters. Carter gets a strong shift in position here, as he is approached about replacing Grant as the British escape officer. McCallum plays the part with a lot of bitterness and resentment: the frustrations of both failing to escape and injuring himself have taken a strong toll. By the episode's end that resentment is still strong, but at least he has found an avenue through which to vent it. It is collectively a great set-up and a raising of the stakes for Colditz's second year. The Pull List: "Superman Reborn"
Star Trek: The Next Generation: "Tapestry"